lawn care program ensures more green, and less weeds. Jerry Naiser, founder of Real Green Pest and Lawn is a respected arborist, horticulturist, diagnostician and applicator. He is licensed by The Texas Department of Agriculture and the Texas Structural Pest Control Board. He is a Texas Certified Master Gardener, ISA Certified Arborist, and a Texas Forestry Service - Certified Oak Wilt Specialist. Real Green Pest and Lawn has won more awards for lawn care in our market than all other lawn care companies combined. Drought or not, the awards keep coming. Of note, we won "Green Thumb of the Year" for our work on the Texas Governor’s Mansion. We are successful because of our clientele. Our approach is simple: Give good advice based on tried and true techniques, and do what we say we are going to do, when we say we are going to do it. And above all, we respect the environment in which we live. With this approach, not only are your plants healthy, so are you. 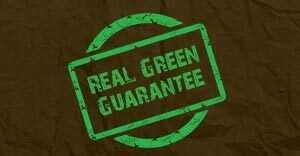 Every day, more Austin families choose Real Green Pest and Lawn because with us, visible results are guaranteed. We will work until you are satisfied. Service calls are always free. 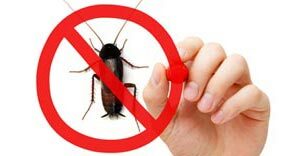 Choose the pest control service with no pushy sales people, same day service, no extra charges, and flat fee. Includes flea and tick service. 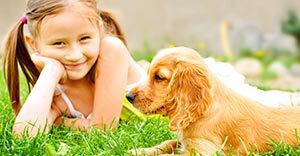 We customize your lawn with professional grade products and fight the tough, drought related weeds, lawn-damaging bugs and disease. Visible results, guaranteed! If our recommendations are followed, and our treatments do not provide the desired result, we will refund the amount of your last treatment. © 2019, Real Green Pest and Lawns. All Rights Reserved.